Coverage: Watch on BBC One, listen on BBC Radio Scotland (FM) & 5live sports extra; live text commentary on BBC Sport website. 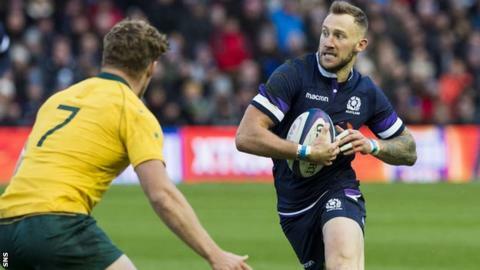 Byron McGuigan will miss Scotland's Six Nations meeting with France on Sunday, Scottish Rugby has announced. Wing McGuigan, 28, started Saturday's 34-7 defeat by Wales - his second Scotland appearance - but is now recovering from a hamstring injury. Lock Richie Gray and centre Duncan Taylor have not yet recovered from their respective calf and head injuries, having missed the Wales game. They will not join the Scotland camp this week. Scotland started their campaign without hookers Ross Ford and Fraser Brown, tight-heads Zander Fagerson and WP Nel, and loose-head trio Darryl Marfo, Allan Dell and Al Dickinson, while fellow front-row Simon Berghan was suspended for the match in Cardiff.